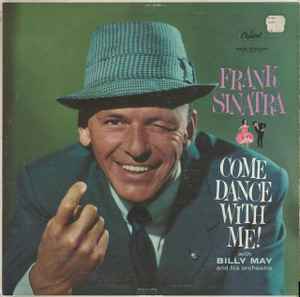 Frank Sinatra ‎– Come Dance With Me! Come Dance with Me! was Sinatra's most successful album, spending two and a half years on the Billboard charts. Stereo Review wrote in 1959 that "Sinatra swaggers his way with effortless verve through an appealing collection of bouncy standards, aptly described in the album notes as "vocals that dance". At the Grammy Awards of 1960, Come Dance with Me! won the Grammy Award for Album of the Year, as well as Grammy Award for Best Vocal Performance, Male. Billy May won the Grammy Award for Best Arrangement. This is Sinatra's 13th Album with Capitol.